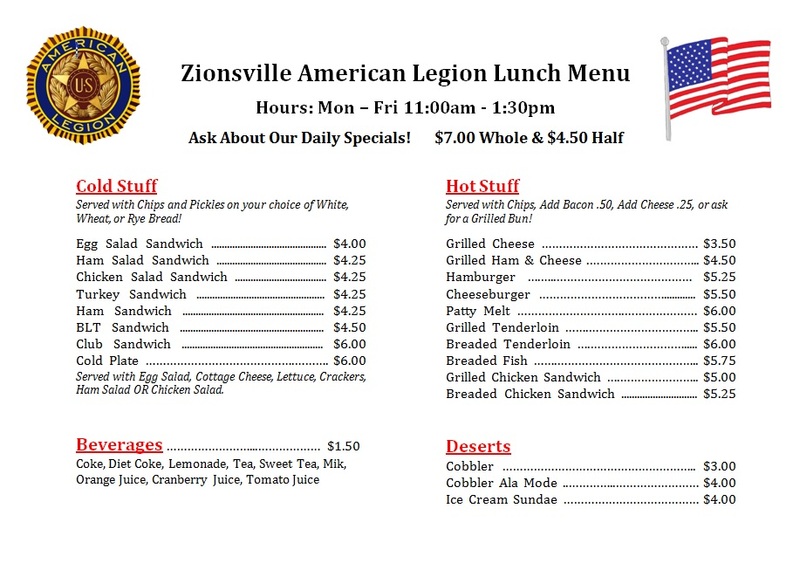 The Zionsville American Legion serves lunches daily and dinners at various times through the month. 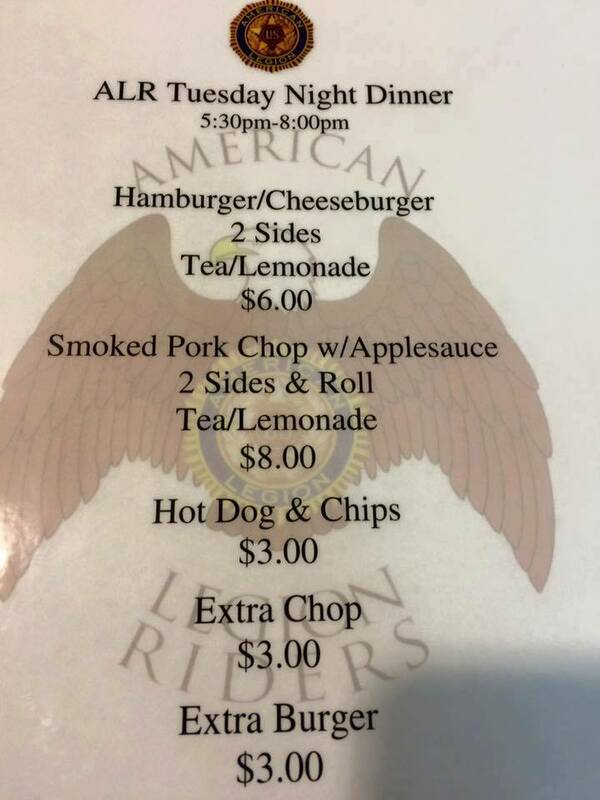 Lunch options include daily specials or sandwiches, soups, and salads off the menu. 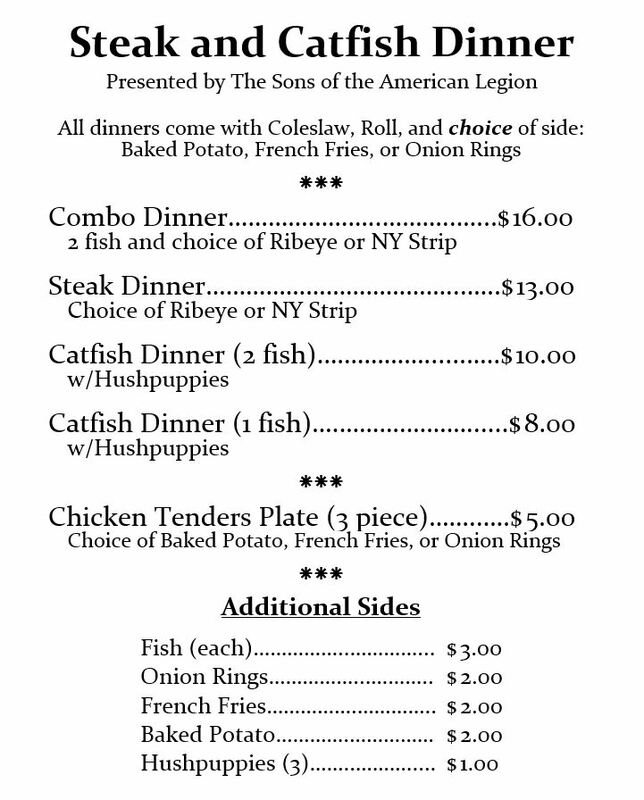 A limited evening menu is included on the lunch menu, for nights when full meals are not being served. 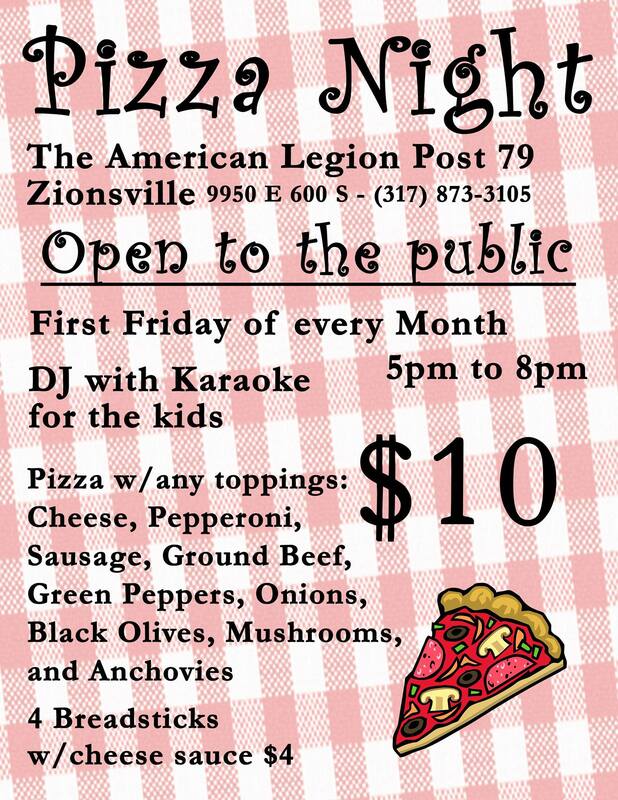 Evening meals, provided by the Sons of the American Legion, Legion Auxiliary, or American Legion Riders, include evenings of pizza, steak and catfish, or burgers and pork chops. 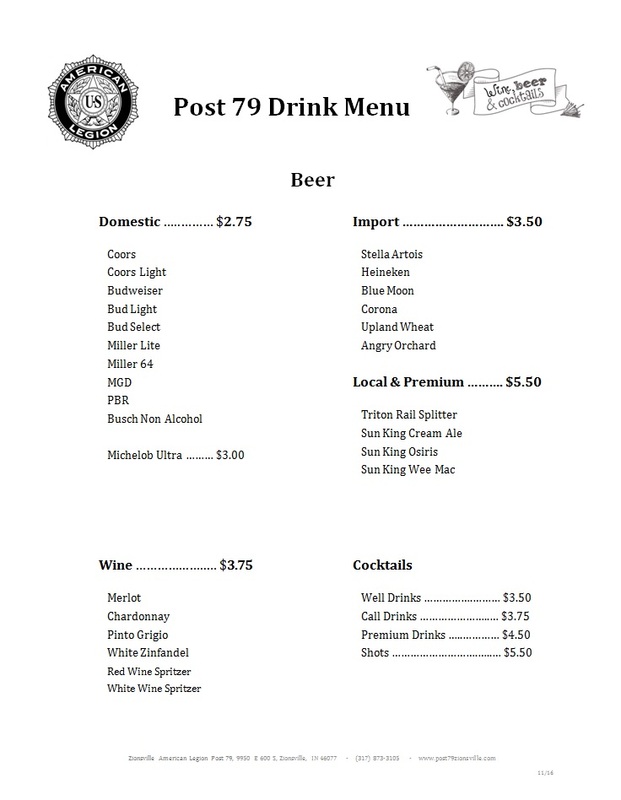 To learn more about lunch or dinners at Post 79, please select the title or image.